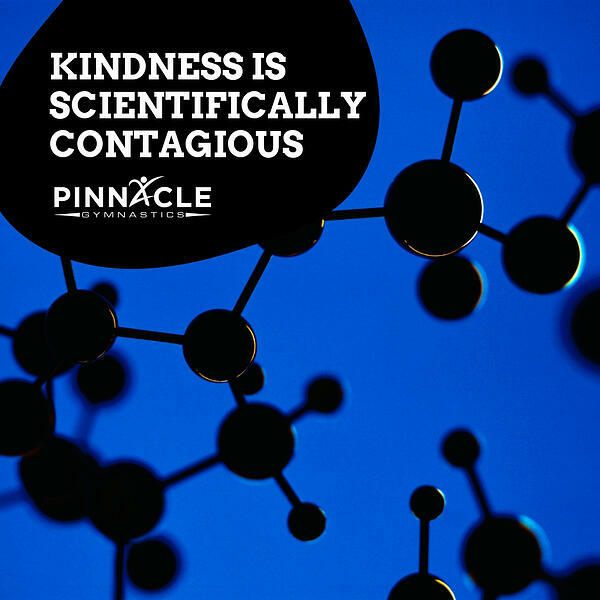 We all know the common phrase "kindness is contagious". However, did you know that there is science to back up this catchy saying? Does kindness have scientifically proven benefits? The answer is: yes. If you perform just one random act of kindness per day, you can reduce your stress, anxiety, depression, pain, and blood pressure. 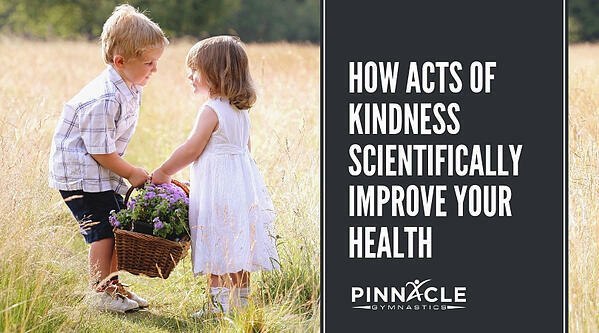 In addition, there are many positive health benefits from performing acts of kindness. Positive benefits include improved immunity, increased energy, as well as an increase in happiness and the hormones associated with love. In a study done at the Yale University School of Medicine, participants between the ages of 18 to 44 reported lower levels of stress when they performed acts of kindness throughout the day. The same participants saw a decrease in positive emotions on days that they did not perform acts of kindness. What can we take away from this? When we help others, we are also helping ourselves. Emily Ansell of Yale said, "Stressful days usually lead us to have a worse mood and poorer mental health, but our findings suggest that if we do small things for others, such as holding a door open for someone, we won't feel as poorly on stressful days." So many of our society's health issues are caused by stress. According to WebMD, 75-90% of all doctor's visits are for stress-related ailments. Who knew it could be so easy to reduce stress levels just by being kind to others? Dacher Keltner, director of Berkeley Social Interaction Laboratory, has been researching human interaction and the brain function that is tied to it. Performing acts of kindness ties to compassion. When people are compassionate, the left hemisphere of the brain is activated boosting immune functions. This is the same region of the brain associated with happiness. In addition, the Mother Theresa effect was named after a Harvard study. This study took saliva samples of individuals while watching a video of Mother Theresa performing kind acts. The before and after results were clear: those who had seen the acts of kindness had a clear rise in their secretory immunoglobulin-A (considered a fairly good indication of overall immune function). The Framingham Heart Study social network followed 4,739 people from 1983 to 2003. During this study, researchers were trying to determine whether happiness can spread from person to person within social networks. The findings were remarkable. Sure, we wash our hands to reduce the spread of germs, but did you know that your mood can have the same affect? The study concluded that "emotional states can be transferred directly from one individual to another by mimicry and “emotional contagion,”17 perhaps by the copying of emotionally relevant bodily actions, particularly facial expressions, seen in others.18 19 20 People can “catch” emotional states they observe in others over time frames ranging from seconds to weeks." Let the mimicry begin! Start practicing acts of kindness and watch as those around you begin to act in a similar way. Keep in mind, just as you have the power to create a culture of kindness, you also have the ability to do the opposite. This study proves that it is ever so important to lead by example. The facts are in. Performing acts of kindness can improve your health, immunity, mood, and mood of those around you. The next time you find yourself feeling down, try taking on a kindness challenge. Start small and build up to ten acts of kindness in a day (Use your Growth Mindset). No matter how small the acts, each little bit will add up making a difference in not only your life, but the lives of others.